Grapefruit juice can alter oral drug pharmacokinetics by different mechanisms. Irreversible inactivation of intestinal cytochrome P450 (CYP) 3A4 is produced by commercial grapefruit juice given as a single normal amount (e. g. 200–300mL) or by whole fresh fruit segments. As a result, presystemic metabolism is reduced and oral drug bioavailability increased. Enhanced oral drug bioavailability can occur 24 hours after juice consumption. Inhibition of P-glycoprotein (P-gp) is a possible mechanism that increases oral drug bioavailability by reducing intestinal and/or hepatic efflux transport. Recently, inhibition of organic anion transporting polypeptides by grapefruit juice was observed in vitro; intestinal uptake transport appeared decreased as oral drug bioavailability was reduced. Numerous medications used in the prevention or treatment of coronary artery disease and its complications have been observed or are predicted to interact with grapefruit juice. Such interactions may increase the risk of rhabdomyolysis when dyslipidemia is treated with the HMG-CoA reductase inhibitors atorvastatin, lovastatin, or simvastatin. Potential alternative agents are pravastatin, fluvastatin, or rosuvastatin. Such interactions might also cause excessive vasodilatation when hypertension is managed with the dihydropyridines felodipine, nicardipine, nifedipine, nisoldipine, or nitrendipine. An alternative agent could be amlodipine. 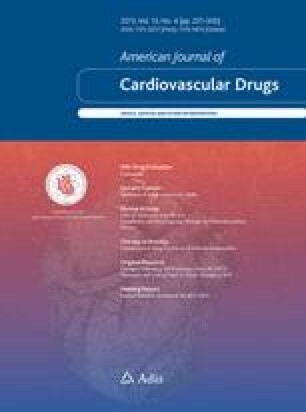 In contrast, the therapeutic effect of the angiotensin II type 1 receptor antagonist losartan may be reduced by grapefruit juice. Grapefruit juice interacting with the antidiabetic agent repaglinide may cause hypoglycemia, and interaction with the appetite suppressant sibutramine may cause elevated BP and HR. In angina pectoris, administration of grapefruit juice could result in atrioventricular conduction disorders with verapamil or attenuated antiplatelet activity with clopidrogel. Grapefruit juice may enhance drug toxicity for antiarrhythmic agents such as amiodarone, quinidine, disopyramide, or propafenone, and for the congestive heart failure drug, carvediol. Some drugs for the treatment of peripheral or central vascular disease also have the potential to interact with grapefruit juice. Interaction with sildenafil, tadalafil, or vardenafil for erectile dysfunction, may cause serious systemic vasodilatation especially when combined with a nitrate. Interaction between ergotamine for migraine and grapefruit juice may cause gangrene or stroke. In stroke, interaction with nimodipine may cause systemic hypotension. If a drug has low inherent oral bioavailability from presystemic metabolism by CYP3A4 or efflux transport by P-gp and the potential to produce serious overdose toxicity, avoidance of grapefruit juice entirely during pharmacotherapy appears mandatory. Although altered drug response is variable among individuals, the outcome is difficult to predict and avoiding the combination will guarantee toxicity is prevented. The elderly are at particular risk, as they are often prescribed medications and frequently consume grapefruit juice.